Highbloodpressureinfo.org is here to help choosing food for herbal treatment of high blood pressure so it wont be a daunting task or a boring one. Tips and recipes from around the world are soon to collect here, so we will have a whole menagerie of cultures to choose from. Heh! Let’s face it! Can you find a better excuse for enjoying the culinary delights of the whole world? Well, ok, there are lots, but at least just drooling over the recipes will make your blood pressure drop a few mmHg. And that’s exactly what I have in store for you in this little corner of delightful indulgences. Here you are going to find a high blood pressure recipe to suit almost everyone, and if the dishes don`t stop you worrying over your high blood pressure for a while, then nothing will. Starting with a list, preferably organic, of the main food categories that are known to help reduce high blood pressure, will help those of us who are born Chefs in the kitchen to create new, tasty dishes. Parsley, Celery, Spinach, Green Cabbage, Broccoli, Carrots (raw), Beets(raw), Tomatoes, Garlic, Asparagus. These vegetables are at the top of the list of food for high blood pressure, for supporting the cardiovascular system either by their powerful antioxidants or diuretic activity. Good News! There has been a Scientific Breakthrough in the UK. Read what Professors have discovered about beetroot! They don`t mention antioxidants or diuretic properties, so what is it?…. Establishing the nutritional benefits is only the beginning. 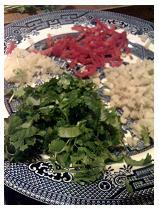 Transforming this colorful array of vegetables into dishes of the delicious combination is the enjoyable part. Fortunately, chefs, cooks, grannies and nutritional experts have taken their years of experience and knowledge and put them together in recipe books, or passed their traditions down by word of mouth from around the world for us to use and enjoy. Your prior thinking that only boring vegetables can be served up as food for high blood pressure will be transformed into versatile innovations for tasty soups that are hot or cold, or stuffed with rice, beans or sea food, designed with color combinations to appeal to the eyes as well as the palate. So on that note, let’s move on to the next category! 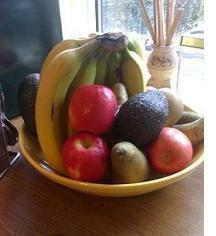 We have so much potassium-rich fruit to choose from as food for high blood pressure. Instead of buying the usual, step out of the comfort zone and mix in some exotic varieties. A medium sized sanguinello has 260mgs of potassium. Bananas are a well-known nutrient-packed food for high blood pressure. When you are in a hurry and don`t have time to sit and eat, pack a banana. What`s more, maybe they protect against heart disease and stroke! Kiwi fruit is found in abundance but did you know that apart from it being rich in potassium, the skin also contains flavanoid antioxidants. Anyone for tennis? One of the highlights of Wimbledon Tennis season is the strawberries and cream. Lovely! They need to provide food for high blood pressure there, I should say! Strawberries are a great source of vitamin C, flavanoids and need I say it, potassium. Available worldwide they are found in desserts from around the world. Apricots glow with beta-carotene and potassium. Don’t forget the passion fruit. 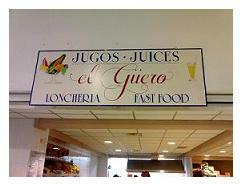 They call it Parcha in Puerto Rico believing that it lowers blood pressure. The flower too, as a herb, is noted for its effectiveness. It is said that if you eat enough of the fruit you can fall in love with the person sitting next to you, so if you want somebody that badly, invite them out to dinner and eat, drink and sleep Passion fruit. Eat your heart out King Solomon! 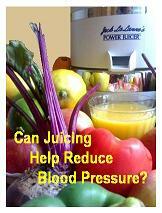 This page is not just about food for high blood pressure but also drinks too. While I was in Puerto Vallarta, Jalisco Mexico, I sampled two great juice blends that are good for helping to lower blood pressure. If you are taking diuretics, consult your doctor before consuming them as some of the fruits and veg contain high amounts of potassium. This juice blend consists of carrot, celery, and beet. Three vegetable juices that compliment each other and taste great. Beet has been discovered to open the arteries and help blood flow, reducing blood pressure for up to 24 hours after consuming. 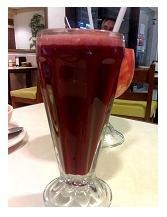 See my page on beetroot. …and likewise, the celery too relaxes smooth muscle around blood vessels allowing the artery to open and increase blood flow. This juice contains grapefruit, pineapple, celery, parsley, and wait for it…cactus! This combination of juices are great for reducing your weight and your blood pressure. The taste is very refreshing and pleasantly sweet. 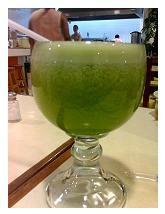 If you don`t like the taste of celery very much, you don`t really taste it in this drink. If you like tomato juice, then you are going to love this. It should be near the top of the list as food for high blood pressure. Did you know, according to the European Journal of Nutrition, when 12 healthy women ate enough tomato products to provide them with 8 mg of lycopene daily for a period of three weeks, their LDL cholesterol was much less susceptible to free radical oxidation, which leads to atherosclerotic plaque formation and a major risk factor for cardiovascular disease. Tomatoes are a very good source of potassium, niacin, vitamin B6, and folate. Niacin is used to safely lower high cholesterol levels. Red kidney beans, Black eye peas (beans), Nattokinase (Fermented Beans), Lentils. Olive oil, Flaxseed oil, Celery oil. Grape seed oil, Coconut oil. Fish, White meat, red meat, ????? I can hear a sharp intake of breath! Did I say “Red Meat”? Later! Foods rich in potassium have been shown to lower high blood pressure and reduce the risk of heart disease, and tomatoes are excellent food for high blood pressure as they are very high in potassium. If you are a diabetic and have blood pressure as a result, you will be interested to know that tests by Australian research and published by the Journal of the American Medical Association revealed that tomato juice would help lower high blood pressure, as it can reduce the effect of hyperactive blood platelets responsible for the health of blood vessels. 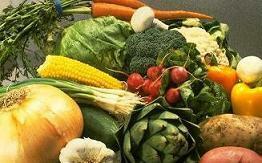 If you are looking for a high blood pressure diet, click here. Most people feel confused and somehow defeated when they are advised to change their diets to a more healthier one because it`s been a lifetime that they have been eating the meals they are used to. Change can be a daunting task, and what to eat can be even more challenging. Well, researchers have taken all the hard work out of it for you by printing their results in US and UK – Books and Recipe Books for High Blood Pressure such as the Dash Diet Action Plan. The book is based on the results of extensive research to understand how our cardiovascular system behaves with different foods. This research was called Dietary Approaches to Stop Hypertension. The book compiles an extensive array of tasty dishes that you can enjoy. Just note down the ingredients on your shopping list and follow the instructions on how to cook. The book also gives you other practical advice, like what exercises you can do to help stay healthy, and other high blood pressure information. 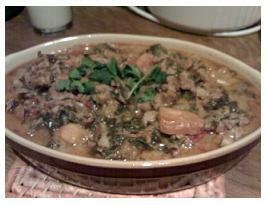 Does fragrant lamb with spinach sound like tasty food for high blood pressure to you? I found it to be! This Indian-style meal serves 4 and consists of spicy ingredients, (not hot), with lamb cooked in low-fat yogurt. It takes 1 hour and forty-five minutes from preparation to the finished dish. A suggestion is to serve it up with basmati rice (I used brown basmati), fresh tomato and cucumber chutney. Each serving has 1000mg of potassium. There are lots of interesting combinations of foods that can help bring your pressure down, but some people find that eliminating certain food and drink from their diets made an incredible difference. Here`s your chance to tell us what you found was raising the pressure.